Hi! 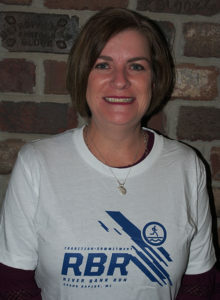 My name is Tammie Clapper and I’m very excited to be an ambassador for the Amway River Bank Run. I hope to encourage others as well as be inspired by all of you. Running has always been a source of stress relief for me. I’ve suffered from depression much of my adult life. It felt good to get out there and burn off the stress, depression, anger, etc. Running just worked! Over the last year I’ve lost that desire to run. Then in January, my oldest son took his life. There has been no running. Only grief. My husband has been encouraging me to make a goal, any goal. So I decided to apply to become a Road Warrior. My desire is to use running again as an outlet as well as bring awareness to mental health and suicide. Running will not make the pain of losing my son go away, but it will help me push through and be a better person for my family. Hello, my name is Paige! 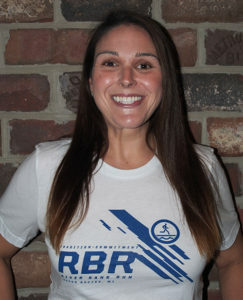 I am thrilled to be a 2019 Amway River Bank Run Road Warrior! Within a short period of time, I went through many major life changes. In 2017, I went from training at a high level with hopes of hitting the Olympic Trials qualifying time in the marathon to a leg immobilizer and crutches for 3 months from a serious leg fracture. I went from being in the best shape of my life to not even being able to walk, drive or even care for myself. It took nearly 6 months to regain my strength in that leg with extensive therapy and many days of frustration, anger and doubt. When I was finally getting back into racing shape, I was involved in an ATV accident in the summer of 2018 which resulted in a dislocated, fractured shoulder and torn labrum which subsequently required 2 surgeries and again, extensive rehab. In addition to physical struggles, I was also going through many personal life changing events. In many ways, the things in my life that I thought made me who I was were suddenly gone - and all at the same time. It was through these struggles that I realized that my identity was not in the racing results or times I produced. Even though you may try to plan your life course (especially if you are type A planner) - I have learned you cannot predict the struggles life may toss your way, but you CAN choose your attitude. I made a promise to myself in the last 2 years that through any struggles I would still CHOOSE to laugh, smile and stay positive - both with running and in my personal life. When you focus on that rather than the negatives, such as the races you are not running, the results are much more gratifying. I can do this through the amazing support of my family, my friends, the Grand Rapids running community and most importantly my faith. So, there you have it! I may not be a novice runner and in some ways my story is a little different, but I hope my journey back to racing this spring will help encourage you along yours! And remember - whatever unplanned, unfair or unwanted struggles end up in your path - choose to smile and never give up on your goals! Hello there! 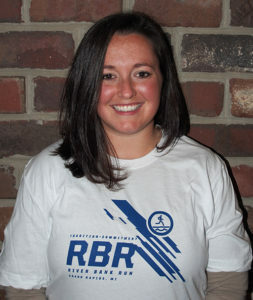 Within in my 25th year, I plan to finish my first River Bank Run 25K. As a somewhat “newbie” to the running world, I am eager to jump in and share my journey through training and community support. As someone who started as a dancer jumped to cross country and now enjoys a combination of yoga and running, I hope to encourage and inspire anyone to find an outlet to keep them moving. Health & wellness has become an important part of my life and the opportunity to train for this race is something I truly value! Aside from my passion for yoga & running, I found my creative license in the world of strategic communication and craft beer. As the Director of Digital Marketing for Perrin Brewing Company, every day brings a new challenge in the evolving craft industry. From crafting new stories and pitches, discovering package trends, tricks of the trade, and of course filling my pint with a beer off the line! I feel so honored to be a part of the Road Warriors 2019! The chance to train, connect, and crush common goals along some of the strongest group of people I have the pleasure of knowing. 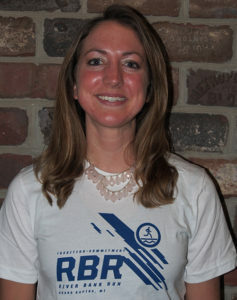 I am the Director of Membership at the Grand Rapids Chamber. My role at the chamber allows me to directly serve the business owners and professionals in Grand Rapids. When I'm not meeting with businesses or attending community events, I'm spending time with friends and family or finding ways to stay active. I love the outdoors and anything active but I have a special love for running. When I started running about 10 years ago as a way to stay in shape, I quickly realized that it's more than that; running is like meditation. Endurance running is the perfect blend of mental self care and physical challenge. I am so excited to be on the road warrior team! 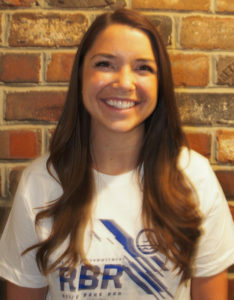 I started running in 2014 through Team-n-Training, the sports endurance program connected to the Leukemia & Lymphoma Society. My niece, Madie had endured 2 occurrences of Leukemia and was my reason for participating. 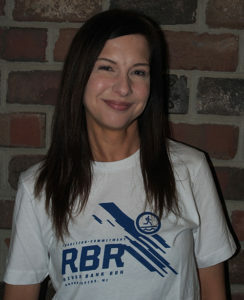 Each year I selected an event to train for and raised money to support finding a cure for blood cancers. I have completed 4 races including the GR half, Marine Core 10k, Rick and Roll Vegas half and am preparing for the Disney Wine and Dine 10k on November 3, 2018. This will be my first 25k but I am so excited to start my training g as a road warrior. I am a 50-year-old wife, Mom of 6, Grandma to 2 grandsons and began running for the first time in January 2018. I ran and finished the Gazelle Girl Half Marathon April 19, 2018. I am a poster woman, encourager, and cheerleader for anyone who thinks "I can't do that". Whatever your pace, whatever your distance, that finish line is your victory! My greatest desire as a Road Warrior will be to inspire others who struggle as I did with overwhelming self-doubt and come alongside as they set out on their own personal journey to a finish line. Run with me! 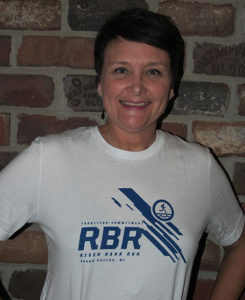 My goal as a River Bank Run Road Warrior is to share my enthusiasm for something that has changed my life. At 40, I decided I wanted to try to run a 5k. I went out my front door and couldn’t even make it to the corner. I bought a treadmill and hid inside, working hard, and building endurance. Once I dared to go outside, I became obsessed with finding beautiful places to enjoy scenery while logging miles. I sought out parks and trails, but I especially thrived in runs including bridges and locations near water. 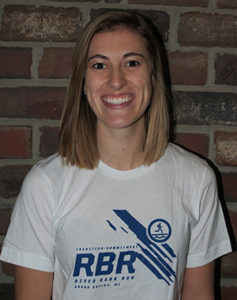 Once running and I became one, I wanted to learn from others and researched what was available in the Grand Rapids area to connect with other runners. Instant love! Seeing the sun rise, logging miles, chatting with other runners on Saturday morning group long runs became my bliss. I will continue running, until my body will no longer let me. I love the physical changes, the confidence, and the amazing run family that I have gained. I am so excited at the opportunity to train with coaches Joann, Amy, and the other Road Warriors. I felt completely defeated by the 25k, the one time that I did it. Let's see what we can do in 2019! I look forward to sharing the training journey with others and hope to log some miles with YOU. Run with me! Never in my life did I think I would run any significant distance, let alone become a runner! Yet here I am, a proud 2019 Amway Riverbank Run Road Warrior. Why did I start running? For my physical and mental health. Why do I continue to run? For my physical and mental health. I’ve only been running since July 2015. I’ve completed multiple 5ks and half marathons, a 10k, and the 2017 Riverbank 25k. With a story of success to share in thanks to the support of my husband and Gazelle Sports, I have been honored to serve as a Team Leader for Gazelle the past two years in their Priority Health Run camps (#partyintheback #bad*turtlesquad). In the running community, you meet some of the most amazing people who share their journeys, encourage you to continue regardless of your struggles, and celebrate your successes with you. I want 2019 to be my come back year! I want to physically and mentally work on myself to get back to where I was two years ago, and hopefully be even better. While I finished the 25k in 2017, I did not get an official time. Less than three months after that, my motivation to continue pushing myself for new goals continued to decrease while my depression continued to increase. I also want to spend this Riverbank season being the voice of the “back of the packers”, showing the community that we might not be as fast, but we have the same heart and determination to reach these goals. I want all runners in the community to feel welcome at all community events and feel a sense of pride in what they accomplish and the gains they make throughout the season. 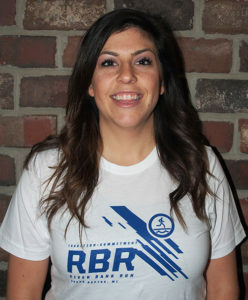 Please join me in 2019 as I take on the Riverbank 25k once again, during which I will be learning about and raising funds for my charity partner Down Syndrome Association of West Michigan. New to running and/or are you a “slower” runner too? Look for me at the community events. I fully understand how you are feeling and welcome the opportunity to be a part of your journey. We can share stories as we share miles! My name is Britany Spangler. I am a mother of four ( ages 7,6,5 and 4). I have been married to my husband Jordan, for 9 years. 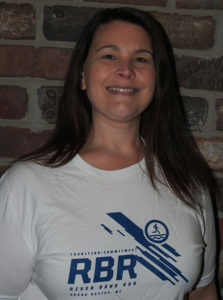 I began running 2.5 years ago as part of my weight loss journey ( I am currently down 150 pounds). I have run 5 marathons, 3 half marathons, the river bank 25k twice and one 50k. My proudest running moment has hands down been helping my best friend of 25 years, cross the finish line twice ( once at river bank and one marathon). There is nothing more inspiring to me then seeing others crush their goals. My name is Bri Conners and I am a wife, a mom and a craft lover. I am so excited to be a Road Warrior because as a new mom I have forgotten how to prioritize myself. I used to think that running was torture, but after my husband was diagnosed with brain cancer this summer and was told not to run for a while, I now realize it is actually a privilege. To be able to move my legs, and get outside, and outside of myself for a little while is such a nice break from the chaos. I am running for myself, to push myself and prove that I am stronger than I think I am. I am running for my husband to continue his passion for running, and I am running for all of you, because if I can do this you can too! "I am a wife, dog mom, daughter, sister, friend, Spartan, avid concert goer, account manager and now a road warrior! I grew up playing sports but really didn’t begin running until I was in college. I had a morning-heavy schedule and my friends had afternoon/evening classes which led me needing to fill some time in the afternoons – I then turned to running (yes, on the banks of the Red Cedar ). Running a couple miles turned into a few more which turned in to me signing up for my first race, the River Bank Run 25K. Fast forward five years and six half marathons later, and here I am – signed up for the 25K (again) as an Amway River Bank Run Road Warrior. I use running as more than just a workout. Running is a way to clear my mind, a means to alleviate any stress and an opportunity to take in the sights around me. Most importantly, running is a way to prove to myself that if I set my mind to something, I can achieve it. Being a runner, it’s up to you. It’s easy to make up excuses and reasons why you cannot run today or cannot run for the next month. I know that I could create a lengthy list on why I should skip my run today, but I want to do what I can to inspire those around me to throw those excuses right out the window with me. I am excited to be a Road Warrior to help push me to grow into my best self and also to instill confidence (even if just a little bit) in those around me that you can do anything you set your mind to – whether that’s walking one mile or training for a 25K. Happy running!" 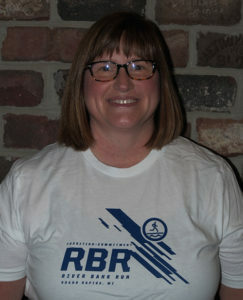 Your 2019 Amway River Bank Run Coaches are Joann Karpowicz and Amy Polega, both RRCA (Road Runner Club of America) certified long distance running coaches! We have been running most of our adult lives. What started as a way to get healthy turned into a lifelong passion and true friendship. Running has helped us keep our lives balanced, happy and healthy. We are proud to say that we are athletes and runners. We have competed in numerous Marathons, Half-Marathons, 10Ks, 5Ks, Duathlons and Triathlons. The past few years, we have taken diverse groups of runners and through 6 months of training, in every weather condition imaginable and successfully helped them to cross the finish line at the Amway River Bank Run on May 11. We have two mottos: Prevent injuries before they happen and keep everyone smiling through it all.